Patna University (PU): Counselling began in the colleges of Patna University (PU) for admission to degree part one courses in arts, science and commerce streams on the basis of marks obtained in the entrance test conducted by the PU. Patna Science College, a popular choice of students aspiring to pursue science education at degree level in the state, began its counselling on Tuesday for mathematics course for the unreserved category candidates scoring a minimum of 55 marks, said Sudhir K Srivastav, principal. The counselling for biology, with cut off marks at 60 for unreserved category, will be held on Wednesday, he said, adding that the college offered admissions for altogether 600 seats there. 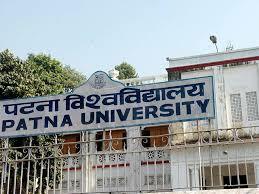 Patna College, another premier institution here, will hold counselling from Wednesday that will conclude on July 18. Admission in charge Randhir Kumar Singh said those scoring 55-67 marks can come for counselling with relevant documents including, Aadhaar card, on Wednesday, to be followed by those securing marks between 54 to 52 on July 13 and between 51 and 50 on July 14.Patna College also offers 600 seats for 18 in degree course. The counselling for admission in BN College will begin from July 14. Coordinator of admission committee Prof MV Ojha said the cut-off marks for arts stream was 48 for general category, 44 for BC II and 38 for BC I category. The selection list for science will be released on Wednesday. There are 600 seats in arts and 350 in science, said Ojha, adding that the college has constituted two help desks, each with four teachers, to guide students in the selection of subjects and make them aware about the campus rules and discipline.